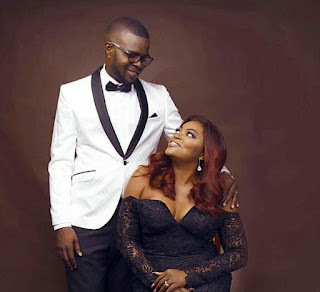 Yeoal's Blogzine™| Nigerian Urban, Gossip and Entertainment Site: Funke Akindele is expecting? “Amen amen amen. God I receive your wonderful news in praise. 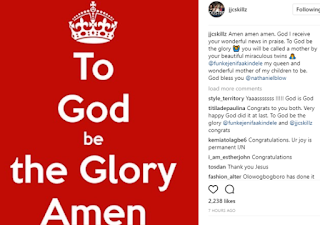 To God be the glory you will be called a mother by your beautiful miraculous twins @funkejenifaakindele my queen and wonderful mother of my children to be.